New Year’s Eve with Jesus at St. Mary’s Church. 7 pm: Exposition of the Blessed Sacrament, Trisagion Prayers and Precious Blood Devotion. 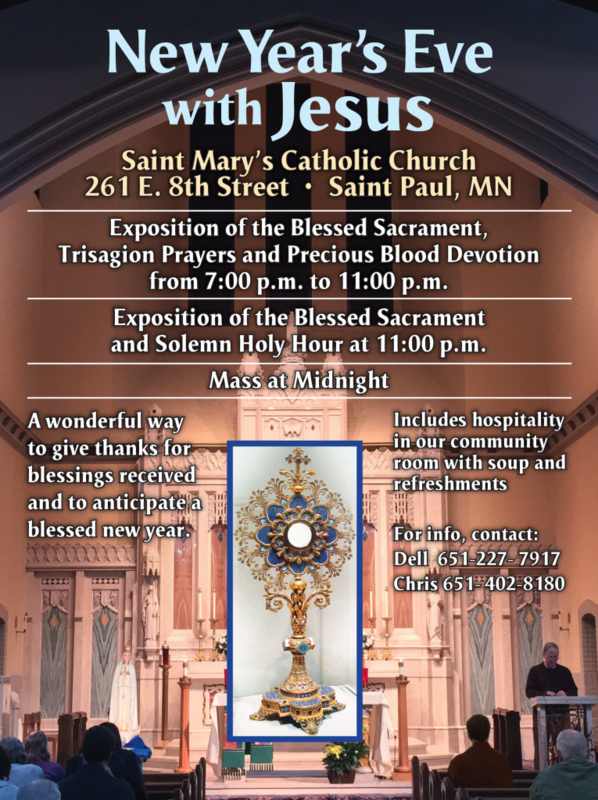 11 pm: Exposition of the Blessed Sacrament and Solemn Holy Hour. Midnight: Mass. Includes hospitality in our community room with soup and refreshments. This is a wonderful way to give thanks for blessings received and to anticipate a blessed new year. Click here to download PDF of the New Year’s Eve with Jesus flyer.